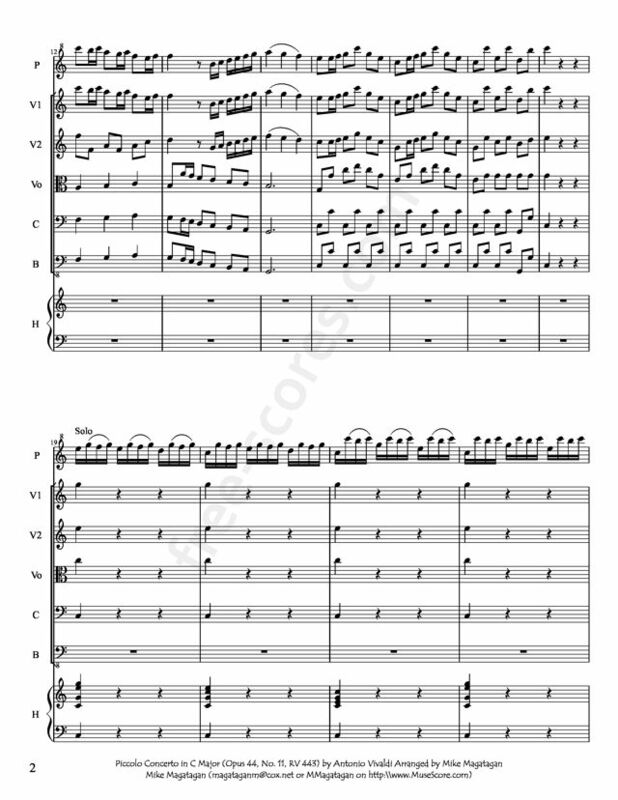 Antonio Vivaldi -- Piccolo Concerto in C Major (Opus 44 No 11 RV 443) String Accompaniment Note: 2 measures of quarter-notes have been prepended to the play-along to facilitate synchronization. Antonio Vivaldi (1678-1741) started playing the violin in his early years. He started studying to become a priest when he was 15 and was ordained in 1703 at the age of 25. In September 1703 Vivaldi became a violin teacher at an orphanage where he started writing concertos and sacred vocal music for the oprhans. Later on he became responsible for all the musical activity of the institution. Around 1717 Vivaldi was offered a new position as Maestro di Cappella (in charge of music in a chapel) of the governor of Mantua. During this period Vivaldi wrote his famous four violin concertos the Four seasons. Antonio Vivaldi's concertos cut a revolutionary swath through the more fustian rituals of high Baroque music in much the way that minimalism gutted academic serialism 250 years later. 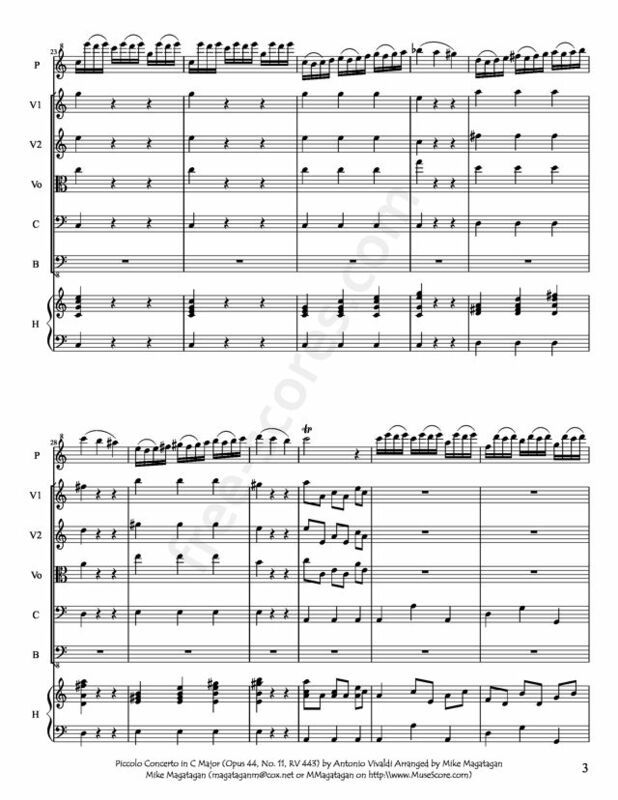 They standardized the fast-slow-fast movement scheme that has survived as the classic concerto pattern, and developed the ritornello form (in which a refrain for the ensemble alternates with free episodes for the soloist), using it as a vehicle for thematic integration and elaboration. Vivaldi's 500-plus concertos were athletic entertainments that swept continental Europe, influencing not only younger composers, but causing a wave of stylistic conversion in older ones. Vivaldi wrote this "Concerto per Flautino" sometime between 1728 and 1729 and although there is not a reliable evidence that the frontispiece information "Concerto per Flautino" means the sopranino recorder (in 'F') as a soloist. 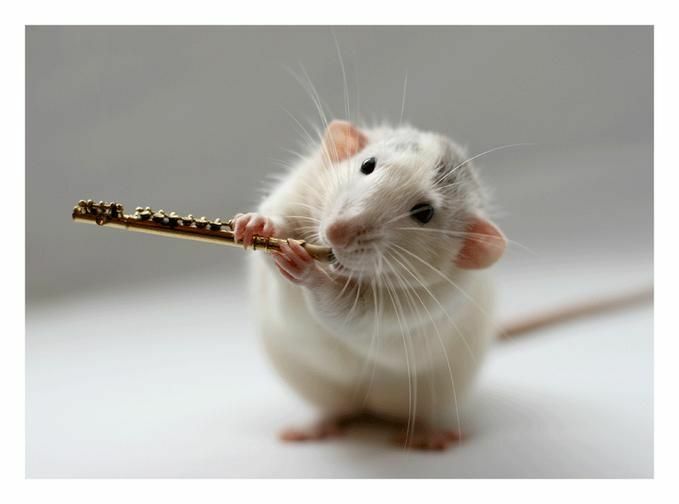 The Italian term flautino means simply a "small flute". There is however, a written instruction "Gl'istromti trasportati alla 4a" ("The instruments transposed a fourth"), witch corroborate which the conjecture that this concert was written for a soprano recorder (in 'C'), the standard transposition for recorder in 18th century, where the recorder player needs to read the recorder part like playing with an alto recorder in 'F'. 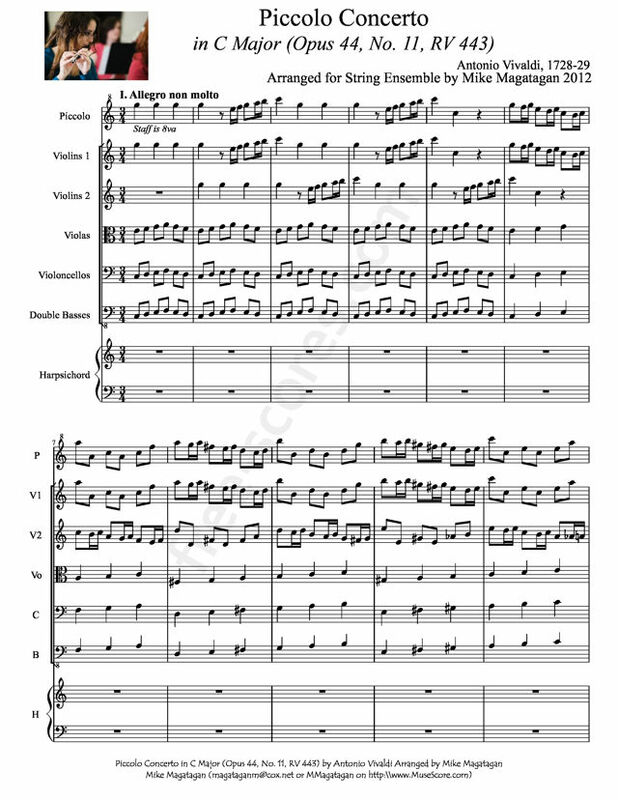 This arrangement was created for solo Piccolo and String Ensemble (Violins, Viola, Cello & String Bass). C'est la première fois que je me sers de ce site, mais je trouve ça super! La présentation est bien faite et l'accès facile. Ce morceau est très beau mais demande un minimum de maîtrise, je dirais un minimum de niveau second cycle. 4 scores found for "Piccolo Concerto for Piccolo & Strings"